The Gateway Arch is the symbol of St. Louis and differentiates St. Louis from all the other Midwestern cities. 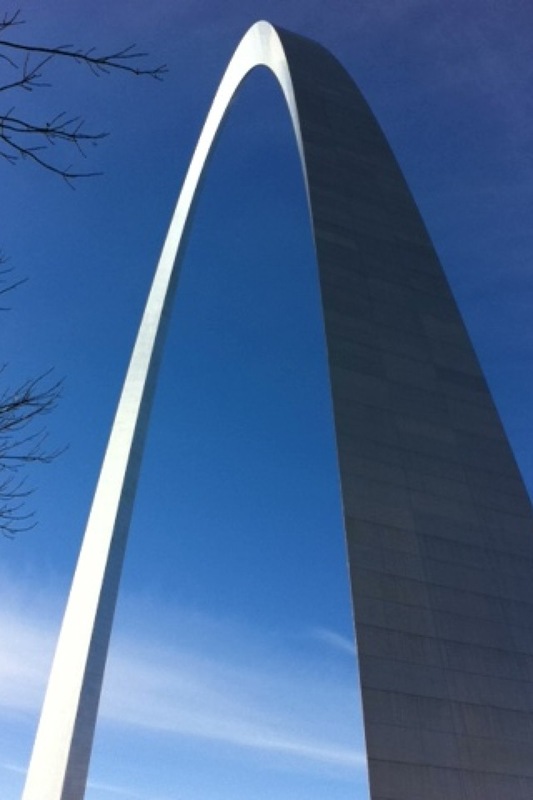 Built by architect Eero Saarinen, the Arch stands 630 feet tall. The two things St. Louisans are most proud of are the Cardinals and the Arch. Without either, St. Louis would be incomplete. Everytime I drive into St. Louis, the Arch stands there welcoming me home like a sentinel. It is visible from almost any point within the City of St. Louis, but from very few points in the County. 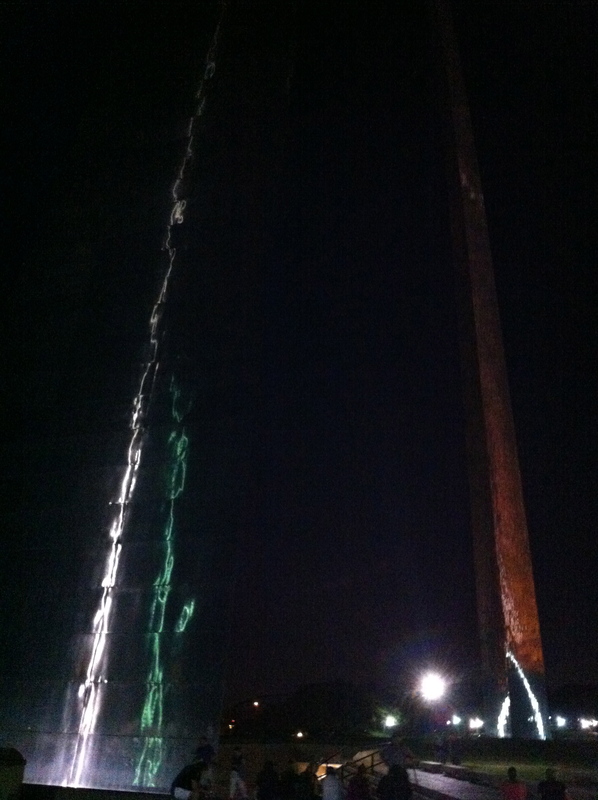 It is only visible from Washington University from the top of just a few buildings, which is a metaphor for the school’s relationship with the City. While visiting the Arch is certainly on any St. Louis bucket list, it is also on pretty much every “Americana” bucket list. While most Americans know about the Arch, not everyone knows you can go to the top (but actually you can’t right now because of the government shut down). The Journey to the top costs $10 and involves a ride up the Arch in a small elevator car. They somehow manage to fit 5 people into the tiny car, so it is definitely not for the claustrophobic. The cars go up through the Arch just like a ferris wheel and after about 3 minutes, you are standing 630 ft above St. Louis. 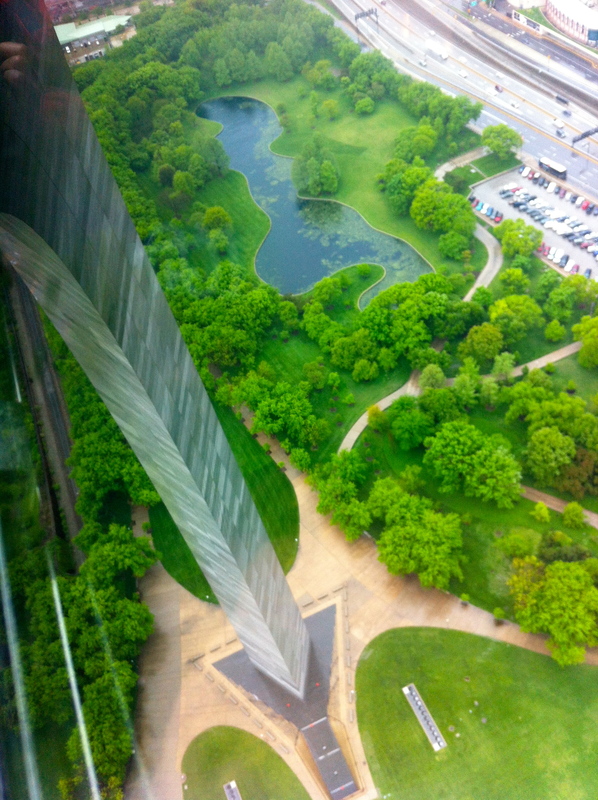 The view is breathtaking, albeit unusual due to the downward tilt of the windows of the Arch. Probably my favorite time to visit the Arch is right around sunset because you can see the entire city light up as the sun goes down. While the Arch is also about to go under some major renovations, currently, there is an entrance to the underground Museum of Western Expansion next to each leg. Since St. Louis is considered the Gateway to the West, the museum. The museum itself is dated, but is very informative. My favorite section is along the back wall that has pictures from places along Lewis and Clark’s journey, which actually started about 10 miles north of St. Louis. 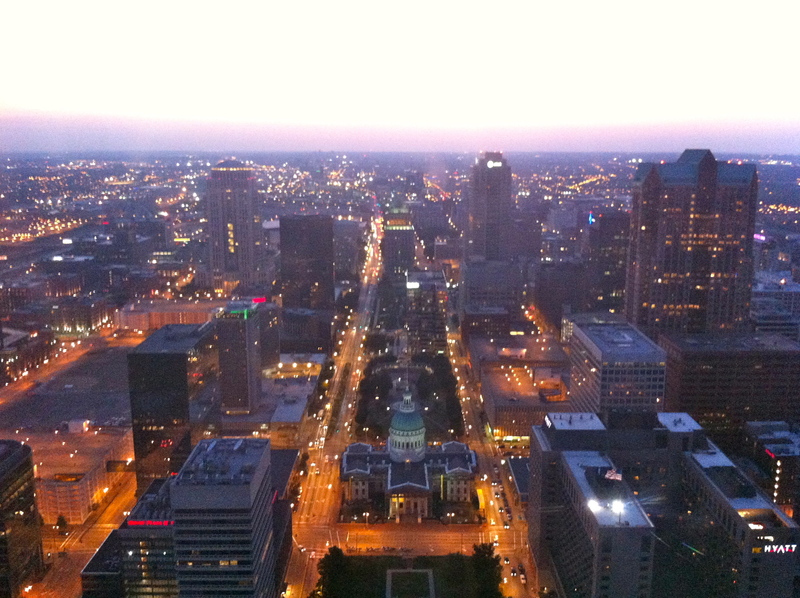 All in all, the Arch is a must-do in St. Louis for both day visitors and lifelong residents.